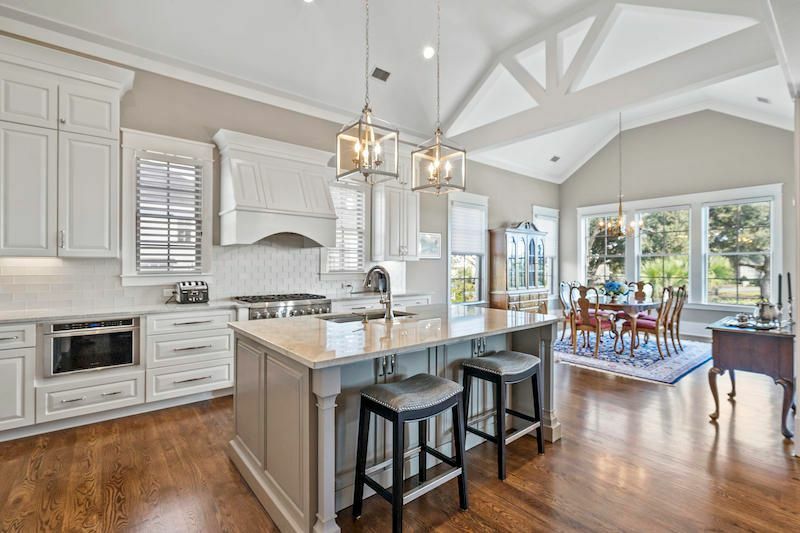 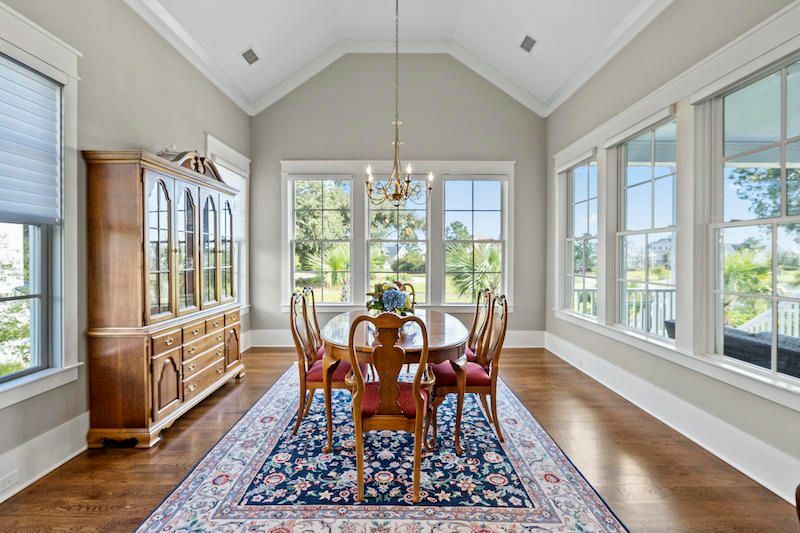 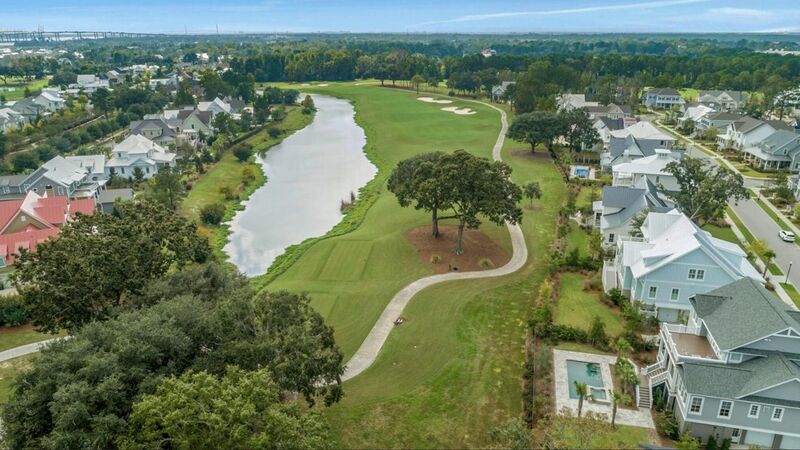 Don't miss this spectacular home with long golf course views located in Daniel Island's exclusive country club neighborhood, Daniel Island Park. 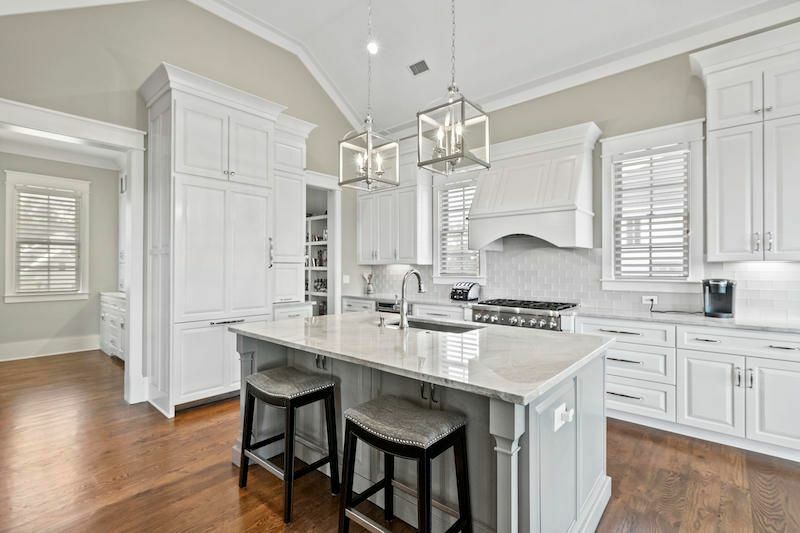 This like-new custom home (built in 2016) is situated on the 16th fairway of the Ralston Creek course. 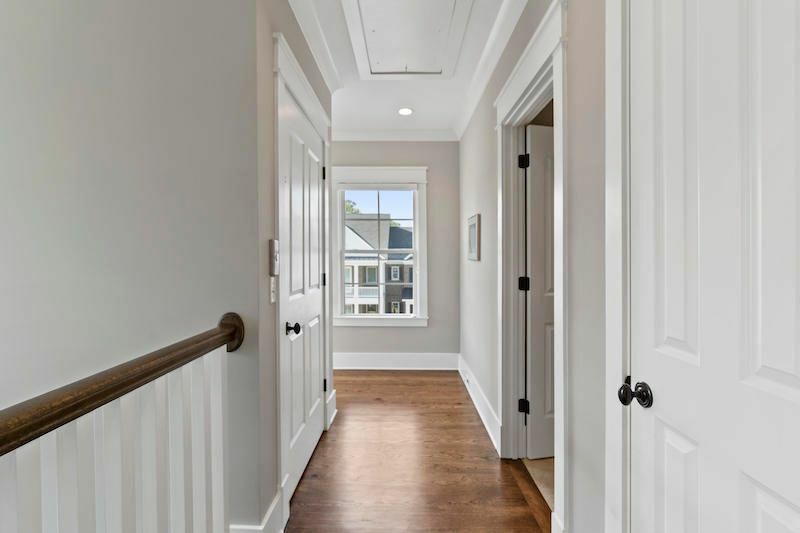 In true Lowcountry style, a charming front porch welcomes its guests inside to discover an open layout that is bright and airy. 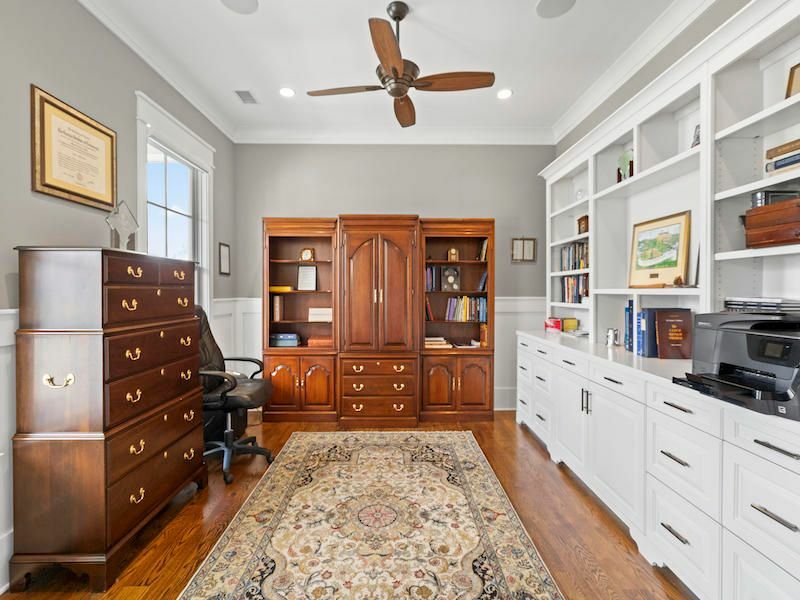 Located off the foyer, you will find a spacious study with custom built-ins. 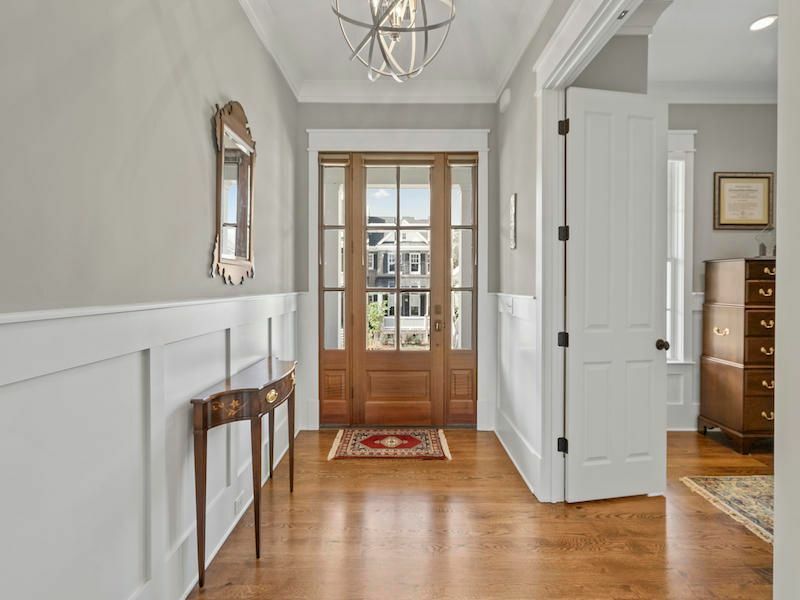 Continue through the foyer and arrive at an open area of living spaces including the family room, kitchen and dining room. 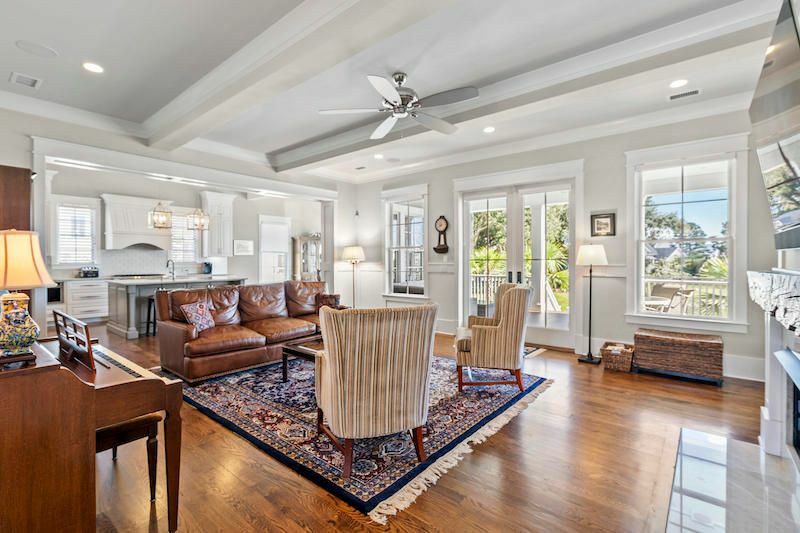 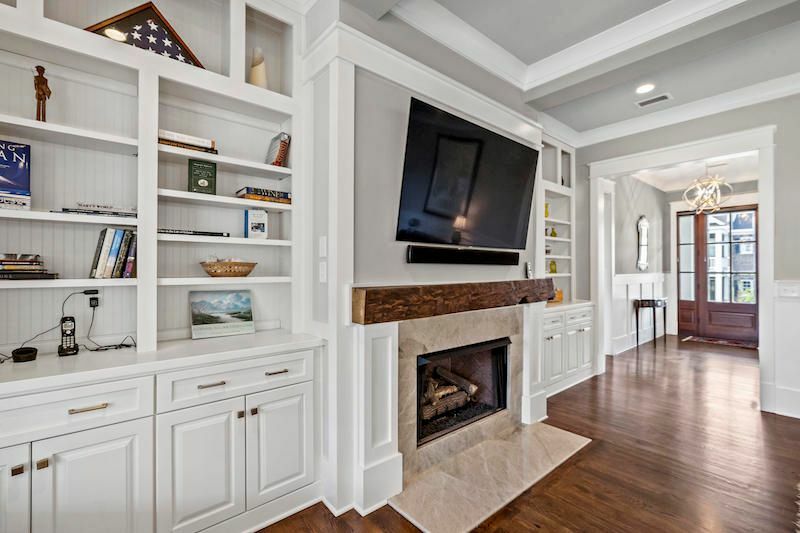 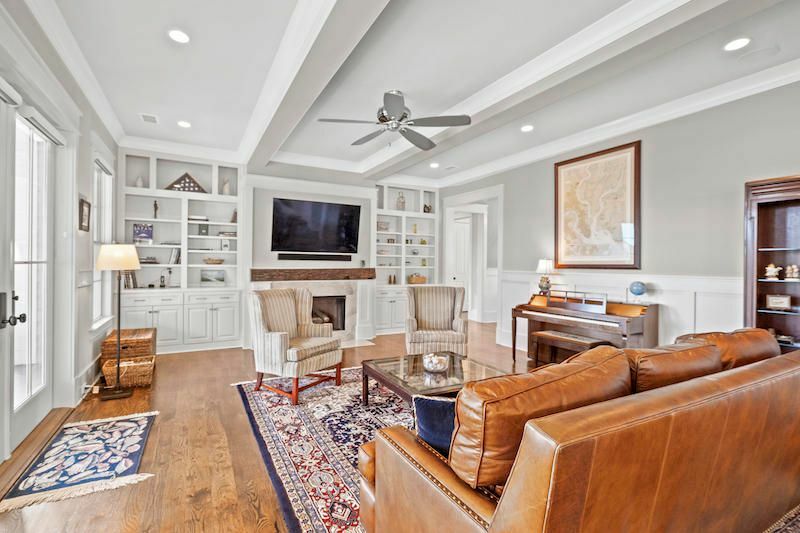 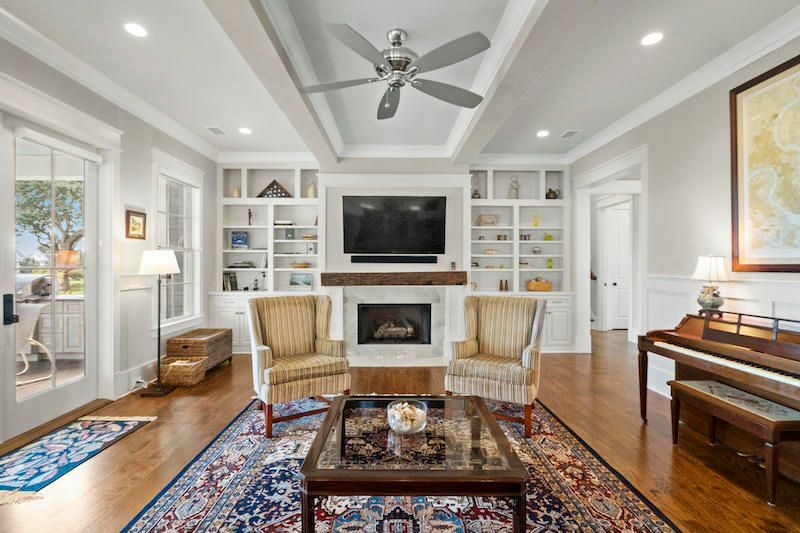 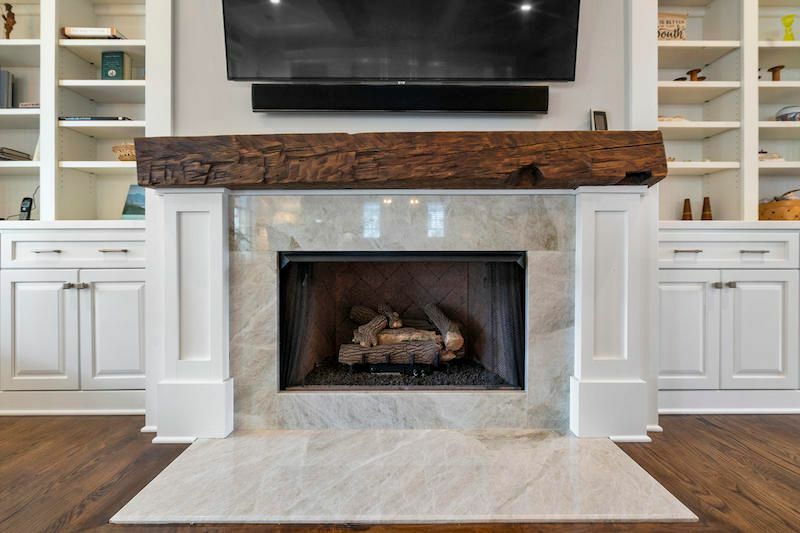 Equipped with trey ceilings with beautiful beam details, built-in bookcases and a fireplace, the spacious family room flows onto a stunning porch overlooking private back yard. 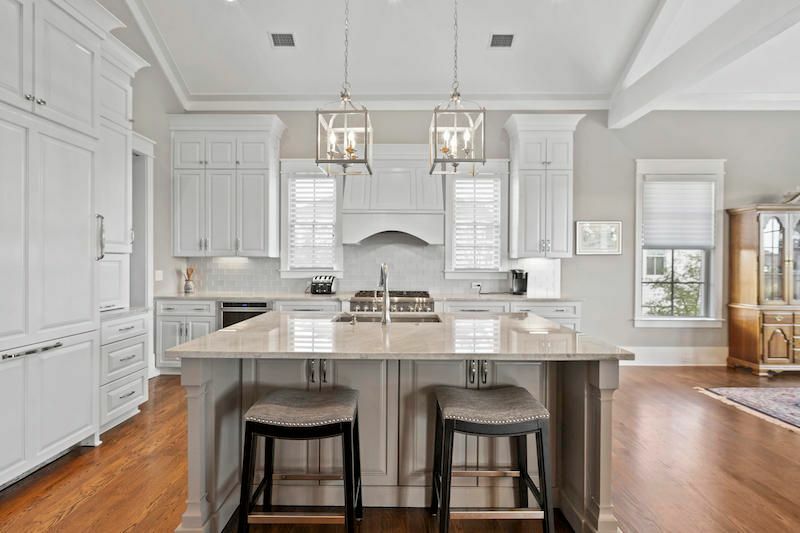 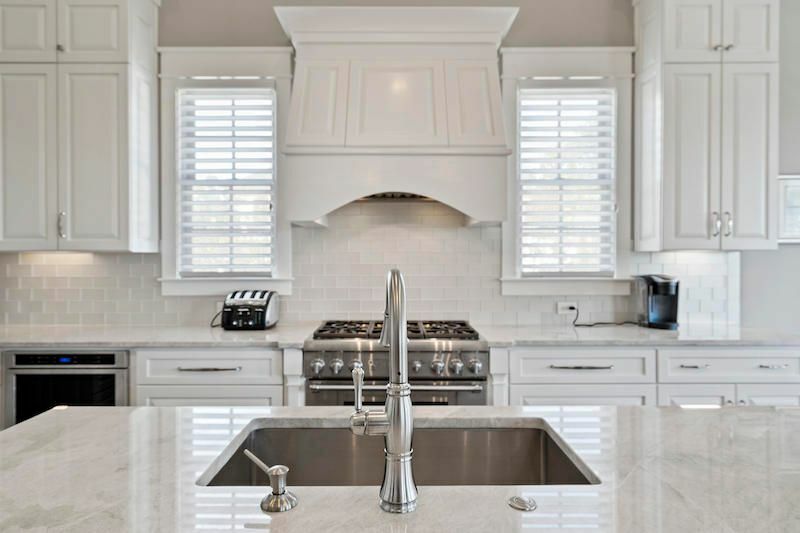 The kitchen features a vaulted ceiling, all thermador appliances, a large island with a farm sink, a spacious walk-in pantry and an extra butlery area with extra storage for wine and glasses. 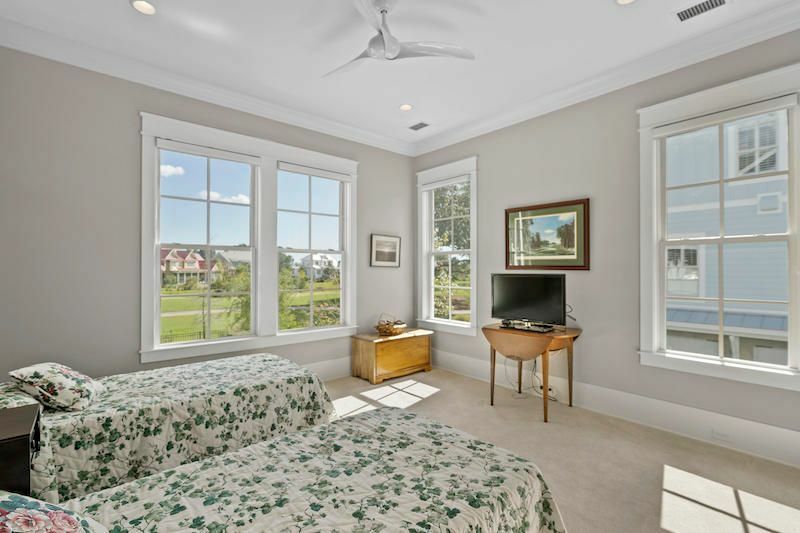 In addition, there is one bedroom on the first floor. 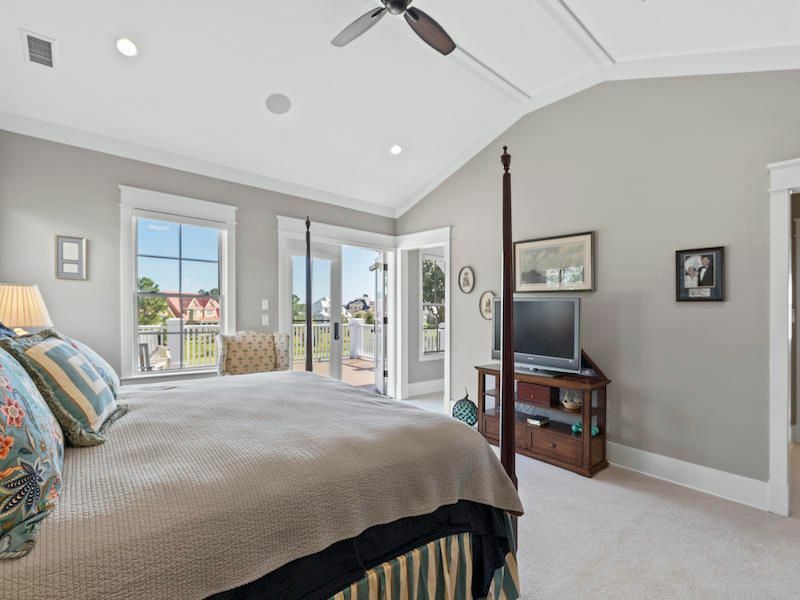 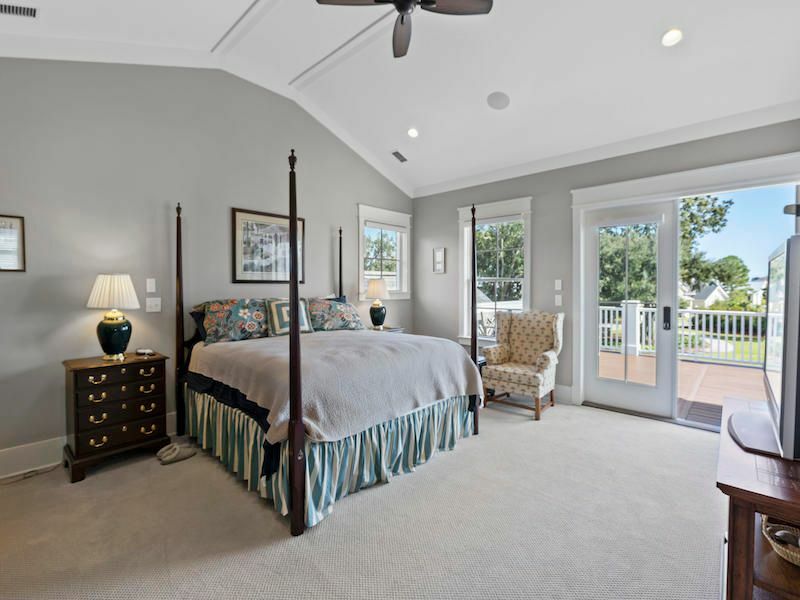 Upstairs, the spacious master bedroom features a large porch with gorgeous views, a walk-in closet and black out shades. 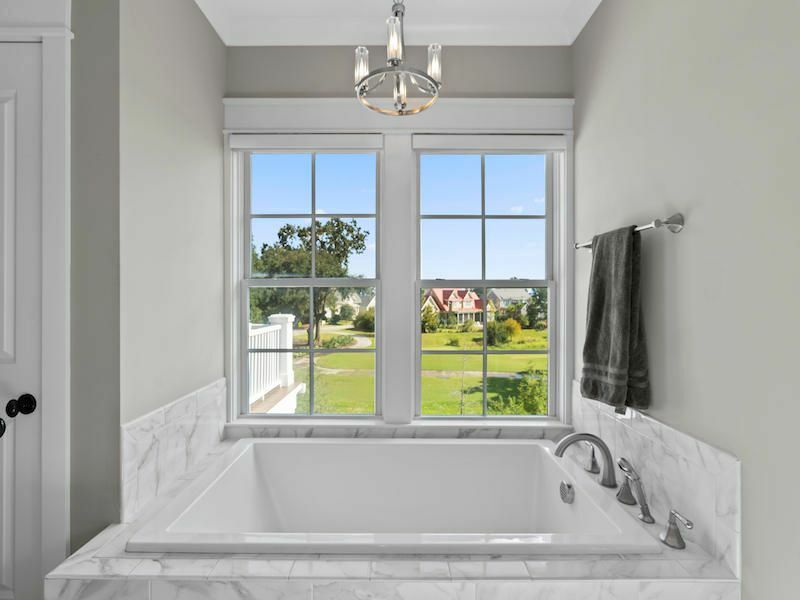 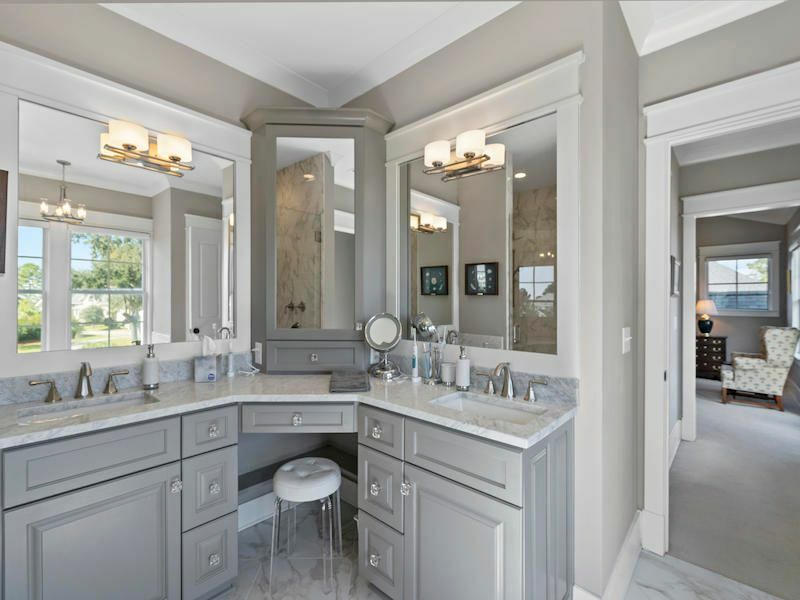 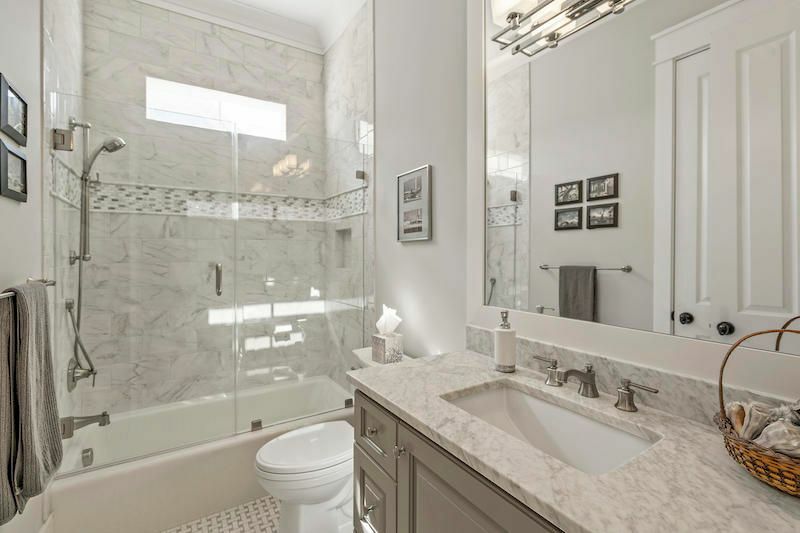 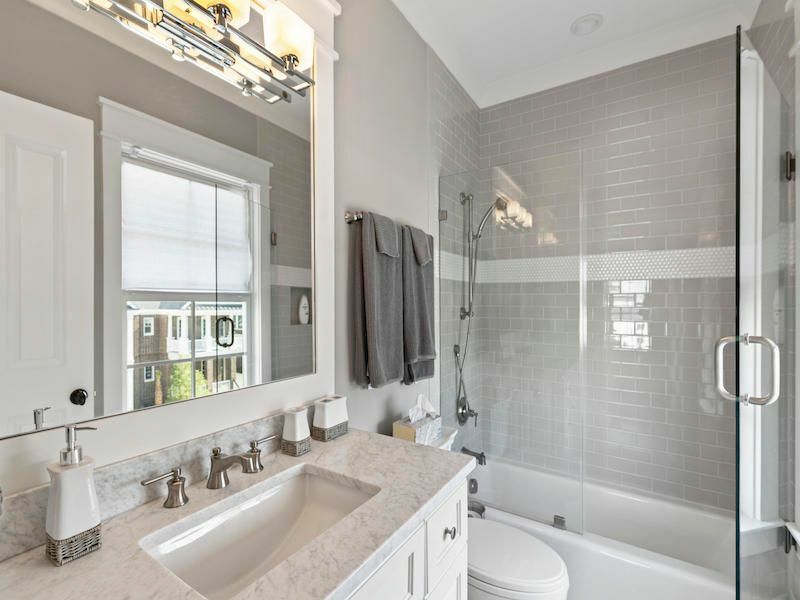 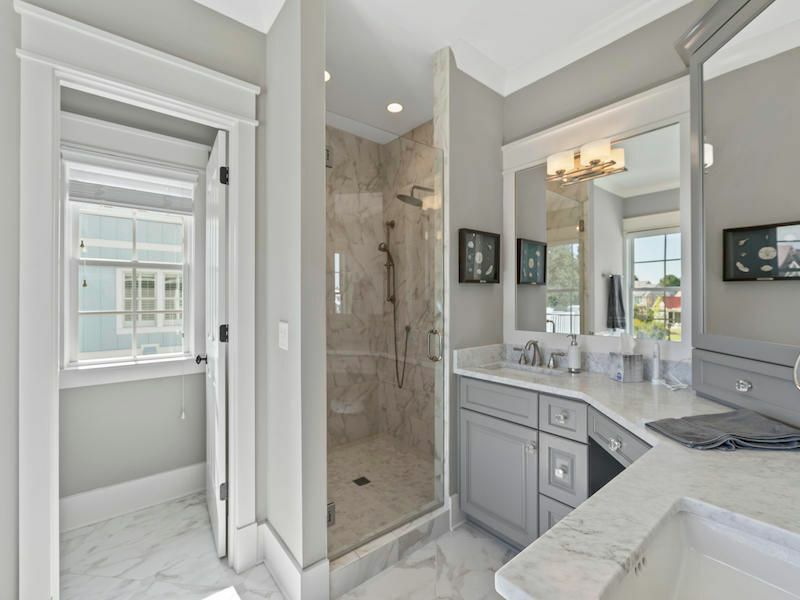 The master bath includes a large shower with rain shower head, a dual sink vanity, private water closet and large tub. 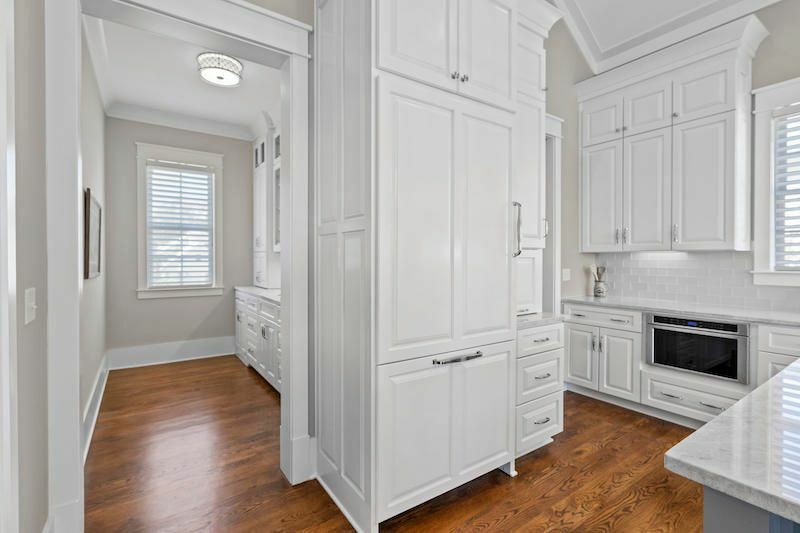 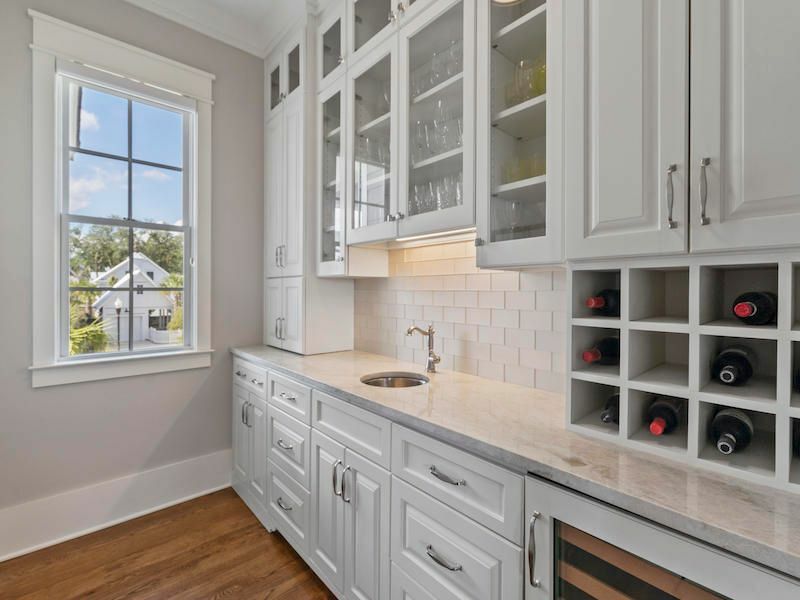 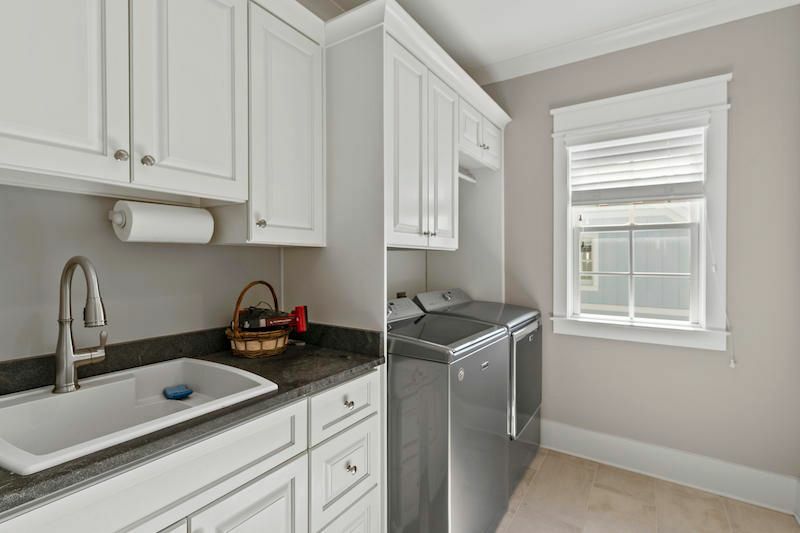 Just off the master, you will find a laundry room with a built-in ironing board and sink. 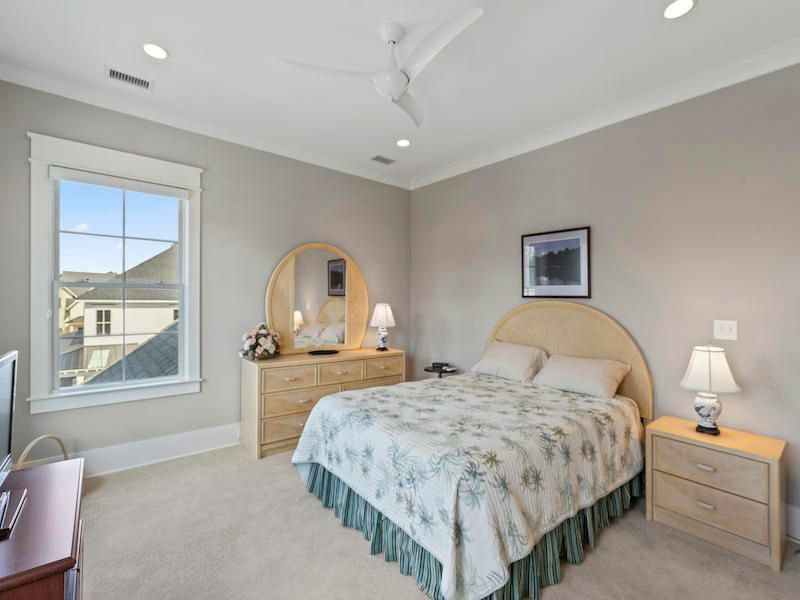 Additionally, there is one more bedroom with a full bathroom. 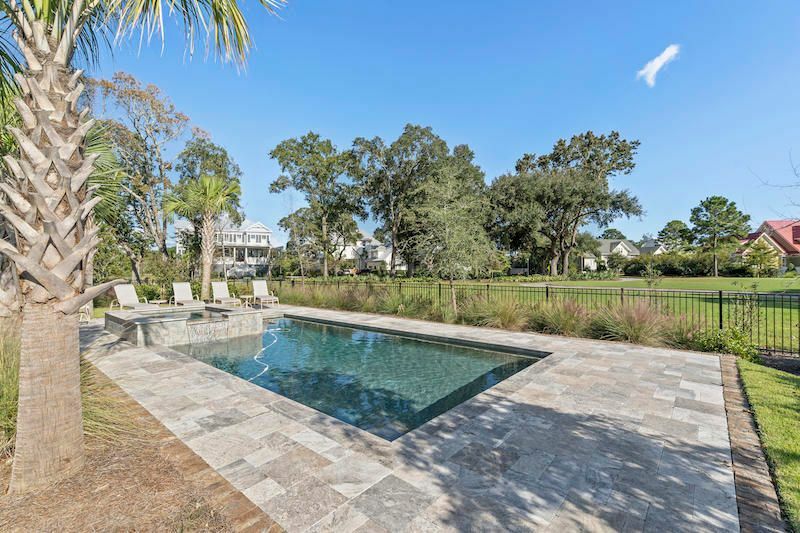 The spectacular outdoor living space has an outdoor kitchen with a grill, sink and fridge - perfect for entertaining. 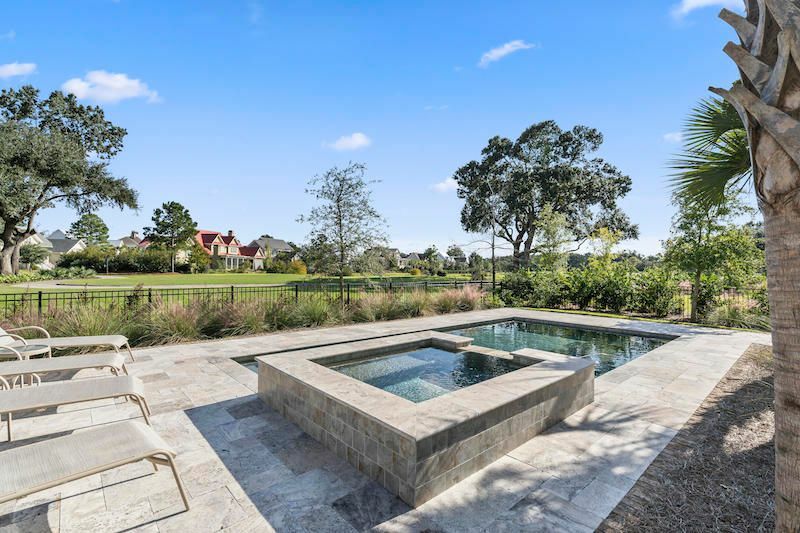 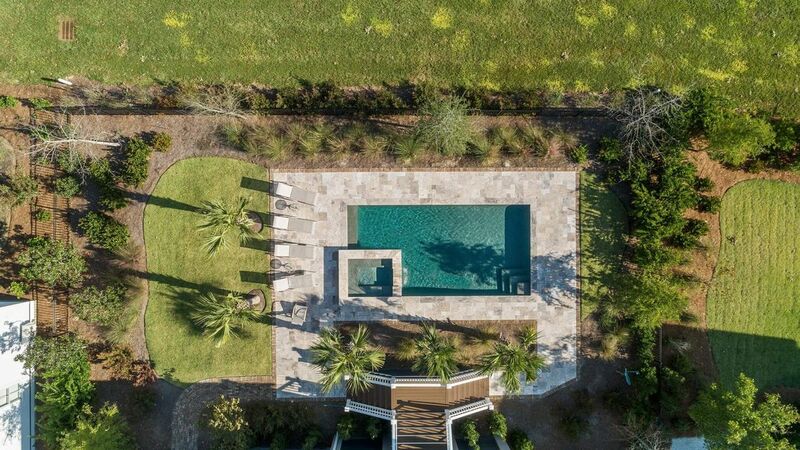 The backyard also features a Gunite pool and spa with gorgeous travertine details that you can enjoy all year long. 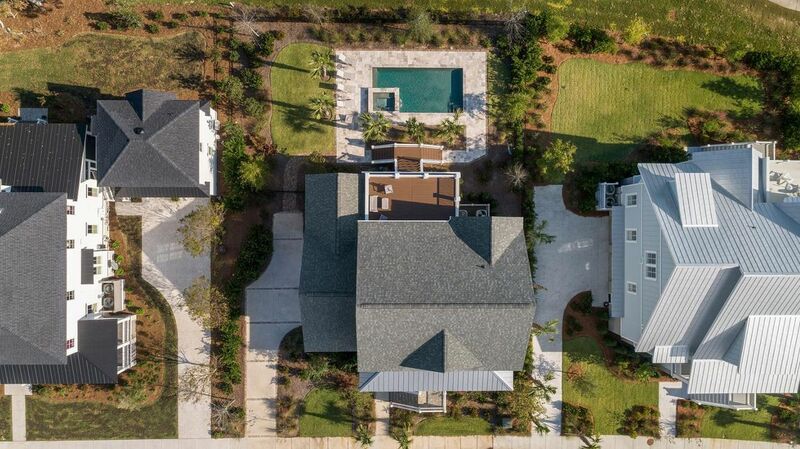 Additional features include a three stop elevator, a mosquito misting system, a fenced yard, ample storage in the garage with a separate space (not in Sq. 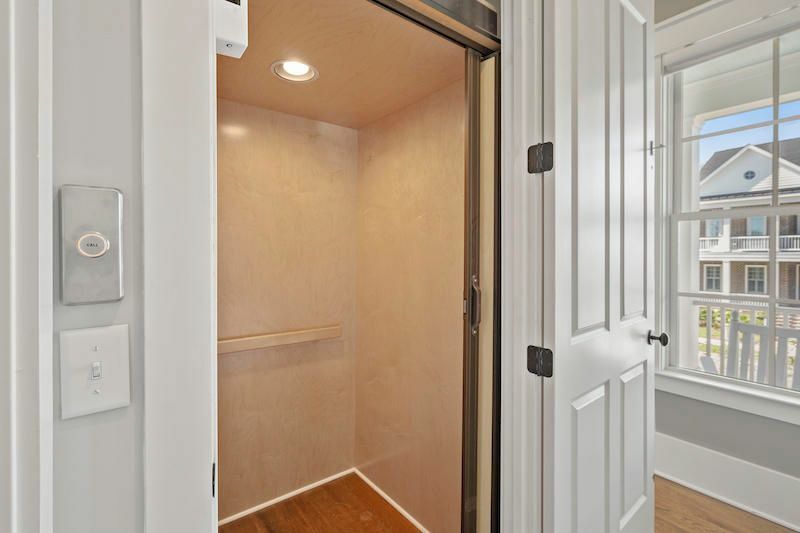 Ft.) that could be used for an exercise/craft/workshop area and a mudroom as you enter the home from the garage. 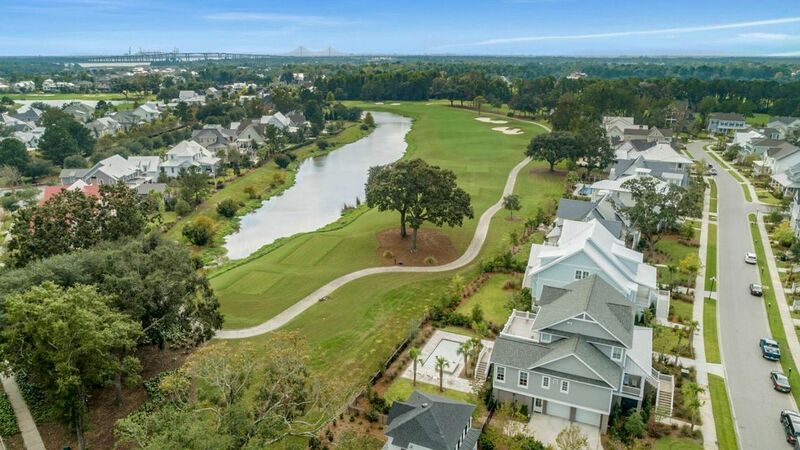 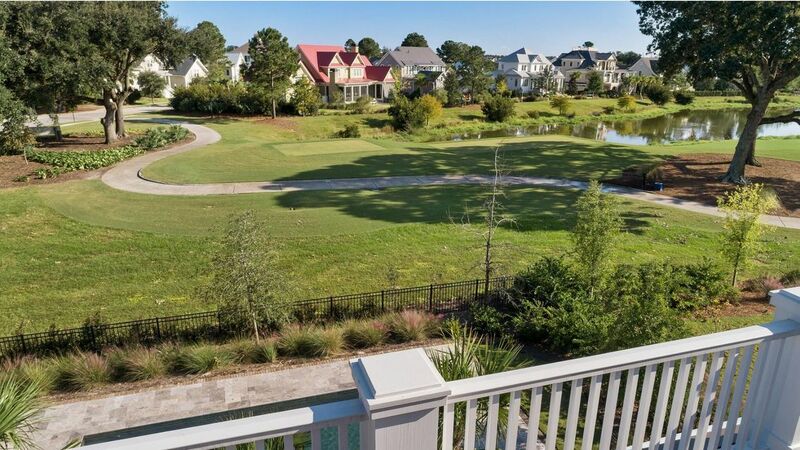 This property includes Daniel Island Club social membership privileges with the opportunity to upgrade to a Sport membership, or an Invitational Golf membership. 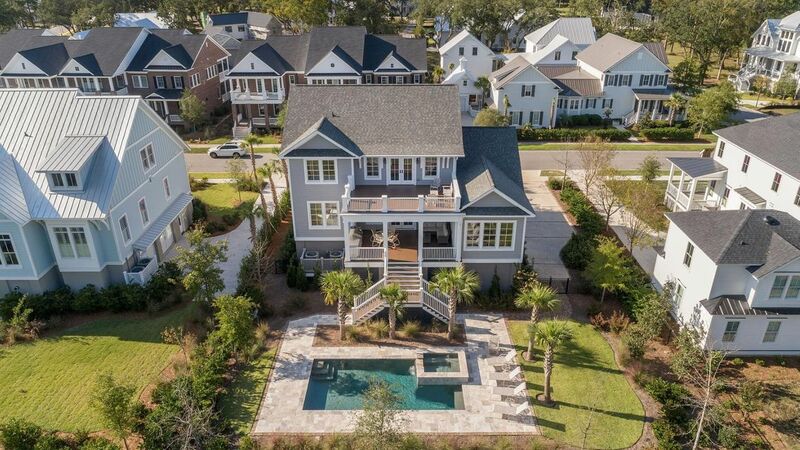 Buyer pays a one-time neighborhood enhancement fee of .5% x sales price to Daniel Island Community Fund at closing. 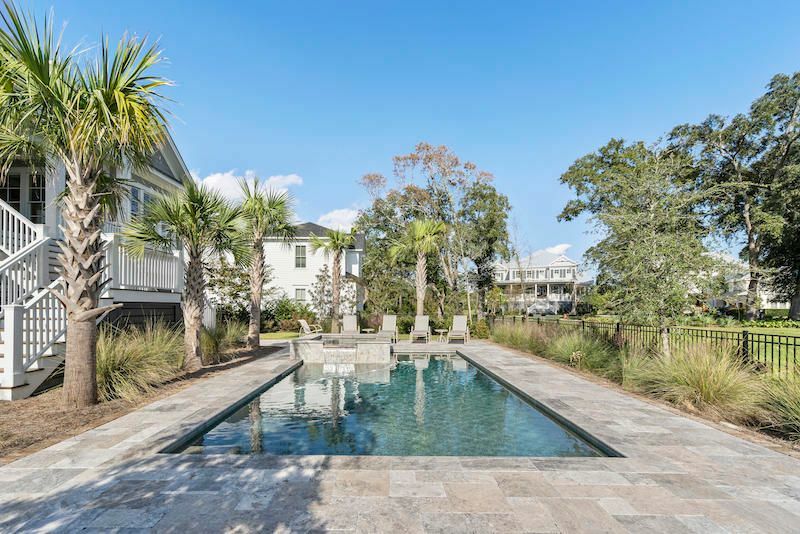 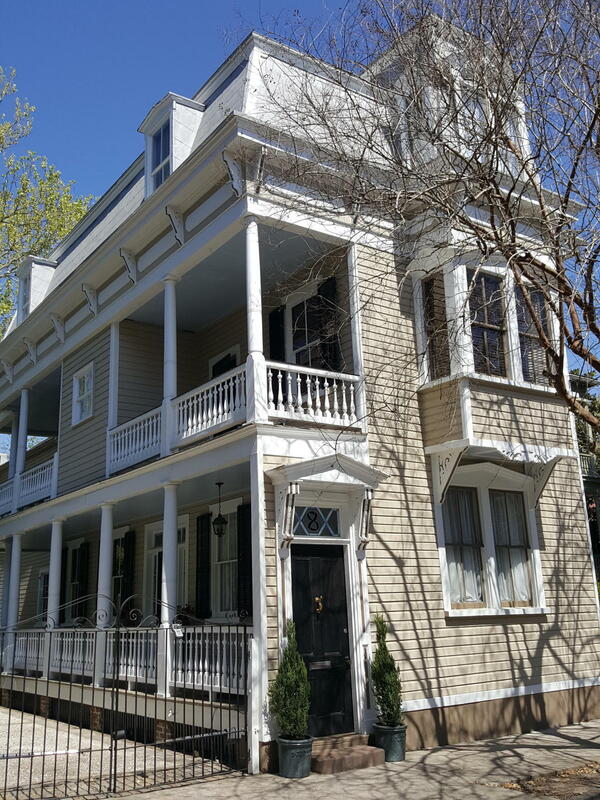 Daniel Island Resale Addendum will be required on offer to purchase. 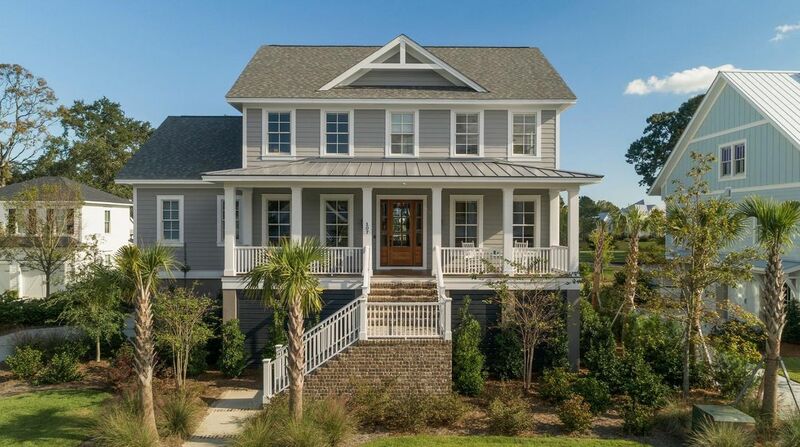 Daniel Island Resale Addendum and Community Fund Disclosure are attached.